Mortar joints at the stepped portions of the gable had been repointed with mortar that was not of original type and color, and it was too hard. That had caused retention of moisture, and consequently interior leaks and exterior staining. 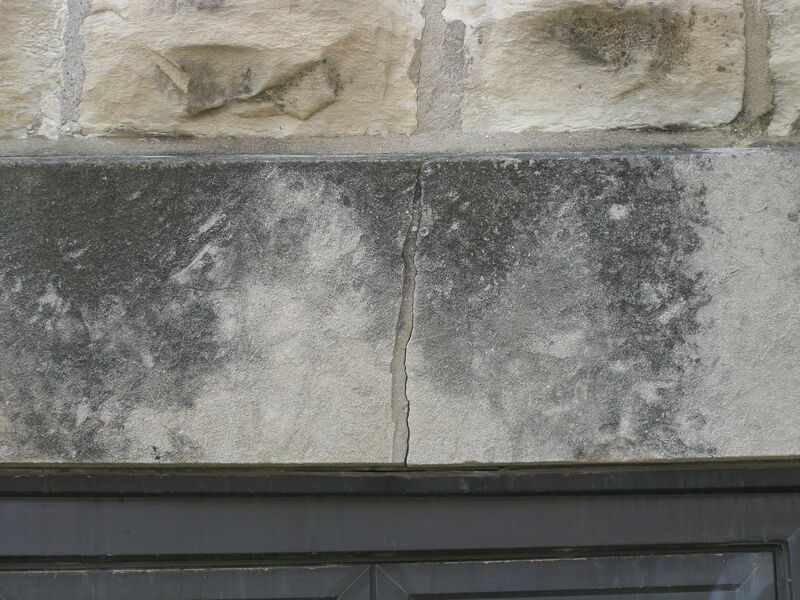 The rigid nature of that mortar would eventually cause cracking and spalling as well. 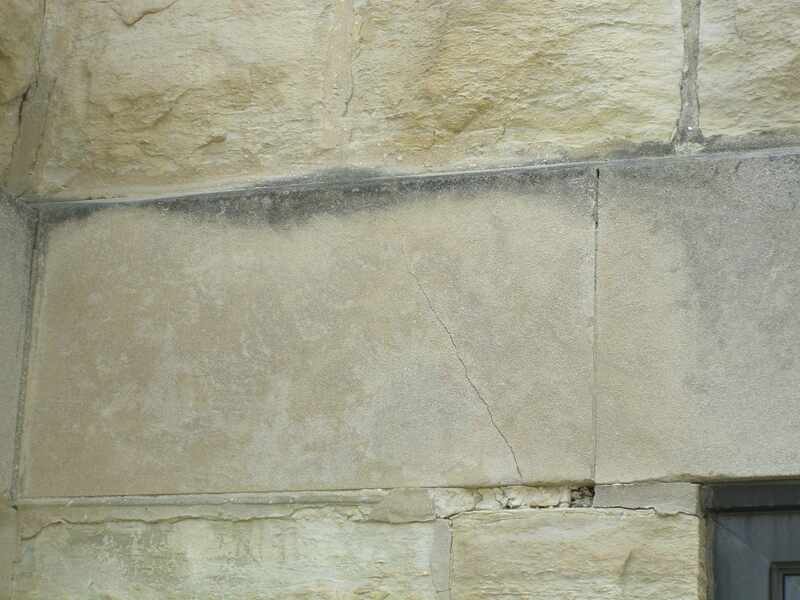 We have removed all inappropriate mortar from face joints and coping. 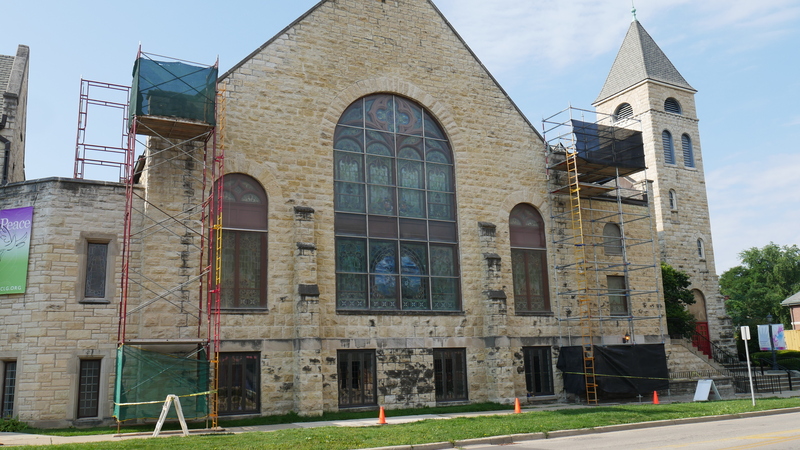 We have rebuilt parapet and arch. The lintels have been replaced and rebuilt. We have also repointed 100% all joints from gable end to gable end.